Maine winters can get quite long; it’s the perfect time to cook! This month, we are bringing you an exciting selection of products, plus nutritious and delicious recipes to spice up your culinary routine. Need some entertaining ideas? Shoot me an e-mail, I’m happy to help. In February, we finish our forecast for the coming year of production. Now that we have moved to Coastal Farms and Foods, we have the capacity for increased production, and we have over 50 excellent farmers growing for value-added and food processing. Our company’s next step in the business plan is to increase our retail presence across the state. In December, we welcomed TradeWinds Market in Blue Hill as a new retail partner. In January, the Blue Hill Cooperative Market and Café made a substantial investment in our product, and in February, Rising Tide Community Market in Damariscotta joined the list of retail partners. Delivering product to these retailers is another level of distribution, another slice of the value chain, and an important component in rebuilding Maine’s vibrant local food system. As I travel across the state meeting with farmers, schools, institutions and consumers, the message is loud and clear. People want a safe, secure and local food system. People want Maine food! Thanks to you folks, it’s happening! Thanks for the feedback, and most importantly, thanks for voting with your fork and supporting Maine agriculture! SPICED APPLE PLUM JAM: We were fortunate to receive a bumper crop of Maine plums from Kate Newkirk’s Winter Green Farm in Winslow, enough to make the Plum Sauce and now a Spiced Apple Plum Jam. 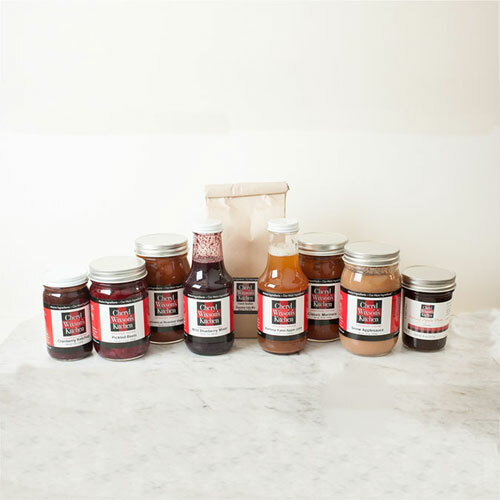 The plum puree is simmered with organic Liberty apple puree, allspice and nutmeg, until thick. This fruity, lightly scented jam makes a great spread on toast or bagels, delicious when stirred into plain yogurt, or use it as a filling for a festive chocolate cake. PICKLED BEETS: The mission of our company is to build value chains; from the farmer all the way to the consumer. To build a sustainable food system, everyone along the value chain needs to be a profitable business. Our Pickled Beets are the best example of this value chain. 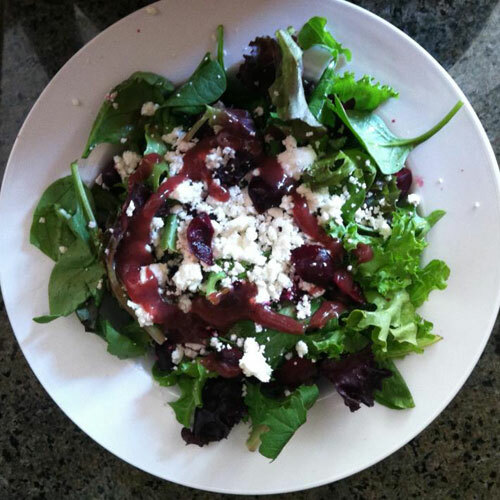 The beets were grown and harvested by Nature’s Circle, a certified organic farm in New Limerick. Northern Girl, a food processing company in Caribou, peeled and processed the beets. Crown of Maine Organic Coop delivered the packaged beets to Coastal Farms and Foods in Belfast. Cheryl Wixson’s Kitchen pickled and jarred the beets. When you, the consumer, purchase these Pickled Beets, you are supporting at least five Maine businesses! Way to go value chain! BARBOUR FARM APPLE JUICE: There are 21 trees in the organic orchard we tend in Stonington, and the harvest varies each year. After a total crop failure last year, this fall yielded a good crop. The varieties are mostly unknown, but we do have 2 Red Delicious trees and one, very old (circa 1860), transparent tree. The fruit is carefully harvested (no drops, they become rabbit feed), and stored in the garage to “sweat” in preparation for cider pressing. Sewall Orchards in Lincolnville pressed our apples this year, and the yield was over 70 gallons! Five, five-gallon carboys are fermenting and bubbling away to make our hard cider, and the rest was canned for juice. Enjoy a taste of island living! The Snow or “Fameuse” applesauce this month is one of 12 apple varieties we processed this year. How often does your family enjoy applesauce? Do you prefer it to be unsweetened? How is the texture? We cook our apples with the peeling and then extract the flesh for the maximum nutritional value. Would you prefer your applesauce processed another way? The demand for our pickled vegetables is increasing, and we are interested in how your family eats them. With every meal? For special occasions? With a sandwich? Our recipes are basically old Maine recipes. Would you prefer different cuisines? The Provencal Roasted Veggie Pasta & Pizza Sauce was originally intended to be a limited production run, but folks keep ordering it. Do you prefer this sauce to the Farmer’s Veggie? Because of consumer feedback, the Cranberry Ketchup now is in an 8-ounce size, and we plan to change all our ketchups to this size. How does this work for your family? In a medium bowl, toss the stew beef with flour and season with sea salt and fresh pepper. Put the butter and oil in the bottom of your slow cooker. Add the chopped onion, and beef. Top with the chopped veggies. Add the Provencal Roasted Veggie Pasta & Pizza Sauce and red wine. In needed, add enough water to cover. Set the slow cooker on low, cook until the meat is fork tender and the veggies are done, about 8 – 9 hours. Remove the bay leaf. To serve, combine the lemon zest, chopped garlic and fresh rosemary in a small bowl. Sprinkle a teaspoon over the top of each bowl of soup. Makes 8 servings. To complete the meal, serve with hot crusty bread, red wine, and a green and fruit salad for dessert. Nutritional analysis per serving: 321 calories, 22 grams protein, 24 grams carbohydrates, 12 grams fat, (0 grams trans fat), 239 mg. sodium, 4.4 grams fiber. Line a platter with the Maine greens, tearing the big pieces if necessary. Arrange the sliced Pickled Beets over the greens. Sprinkle the top with the toasted nuts, diced scallions and crumbled cheese. Pour the Downeaster over the salad and serve. Makes 8 servings. Nutritional analysis per serving: 153 calories, 4 grams protein, 6 grams carbohydrates, 13 grams fat (0 grams trans fat), 212 mg. sodium, 3 grams fiber. Nutritional benefits: Vitamin K, Vitamin A, manganese. This beverage concentrate is made with an organic Maine wild blueberry puree, organic cane sugar, and organic lime juice. Enjoy this mixer combined with equal parts of sparkling water or Club soda. Add a dash to Prosecco or champagne. Use it to make a festive punch. Combine the Wild blueberry mixer, orange juice and ice in a blender. Pour into a glass and top with the lime sparkling water. Serve with a lime wedge, if desired. 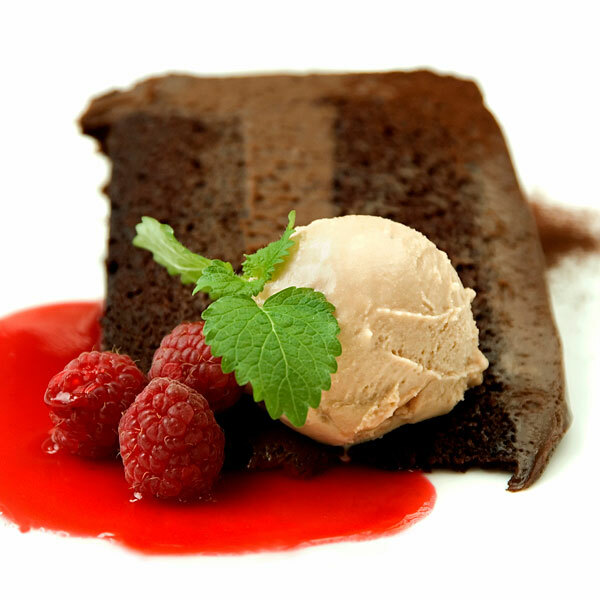 How does your family enjoy the French Acadian Chocolate Cake? 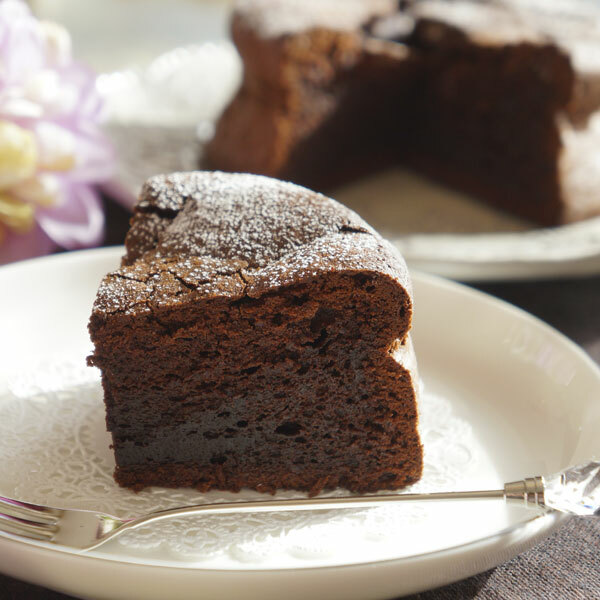 We’ll send you a complimentary cake mix when you share the recipe! Preheat the oven to 350 degrees. Grease a loaf pan. In a fry pan, heat the oil over medium-high heat. Add the garlic, onion, celery and red pepper. Sauté until soft, stirring frequently. Remove from heat. Stir in the Cranberry Ketchup. In a large bowl, mix together the lean ground beef, breadcrumbs, egg and ½ of the sauce. Season to taste with sea salt and fresh pepper. Pat the mixture into the loaf pan and bake for about 45 minutes. Remove from the oven, and spread the remaining sauce over the top. Bake for another 5 minutes. The internal temperature of the meatloaf should be around 160 degrees. Let rest before slicing. Stir together and let the flavors marry for about 2 hours before serving. Feel free to vary the fruit. Applesauce is a nice addition also.